Syncs in time have a way of catching up with people. Synchrocinematic ones are often rather special. The man credited with being the Batmobile's creator and developer has died on November 5, 2015. That's quite a coincidence. This same individual had a checkered history of softly promoting himself in the same fashion as he did with the Batmobile, with the Back to the Future DeLorean Time Machine. And it is on a famed "BTTF Day" on which he has died - November 5, 2015. These are photos of VIN 02831, converted by George Barris into a Back to the Future car....The photos show it on display at the Grand National Roadster Show in San Mateo, 2003. The first [at top of this posting] and last photos are of display photos placed with the car. The first one is of Barris posing with the VW modified car (or what's left of it). This 'car' is sitting on the backlot of Universal Hollywood. The last photo is an old picture of Steven Spielberg with the #1 BTTF car. That's the car you first see at 'Twin-Pines Mall' in the movie. Universal still owns that car and it is serviced by the DeLorean Motor Center. Bob Gale went on record at the Pigeon Forge DeLorean Car Show stating "George Barris had nothing to do with the making of the Back to the Future DeLoreans". The car was recently sold (5/2005) at auction for $40,250. Source. Over a decade after the release of Back to the Future Part III, one of the DeLorean time machines stunt cars used in the film was sent to Barris for restoration purposes to be put on display at the Petersen Auto Museum in Los Angeles. The car was returned to Universal Studios in 2003. Barris later purchased a stock DeLorean DMC-12 and converted it into a time machine, which he used to promote himself and his company. While Barris never officially stated that he had anything to do with the Back to the Future films, he did like to indulge in stating that he had built a Back to the Future DeLorean time machine, but never disclosed that it was a replica car. In 2007 Universal Studios officials sent Barris a cease and desist order demanding that he never again make misrepresentations regarding any involvement with the Back to the Future films. They called upon Barris to remove images of the flying DeLorean from his company's website and restrict his display of replicas of the gull-wing car used by Michael J. Fox in the popular 1985 movie and its sequels. Back to the Future writer/producer Bob Gale went on record stating that "George Barris had absolutely nothing to do with the design or construction of the DeLorean time travel vehicle. "The DeLorean was designed on paper by Ron Cobb and Andrew Probert, and it was built under the supervision of special effects supervisor Kevin Pike and construction coordinator Michael Scheffe." 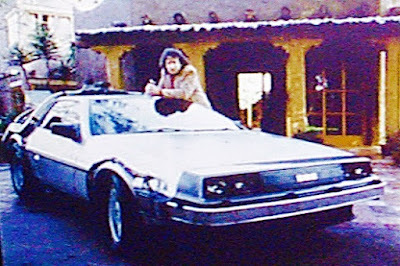 Barris also came under fire from DeLorean automobile historians, when he proclaimed in a 2003 interview with Maxim magazine that he worked with John DeLorean on the actual car. Barris also had no involvement with the original DeLorean Motor Company and it's sole automobile the DMC-12. George Barris dies on November 5, 2015. George Barris was married to Shirley Nahas from 1958 until her death in 2001. They had two children. He died on November 5, 2015, in his sleep at his home in Encino, California, at the age of 89. 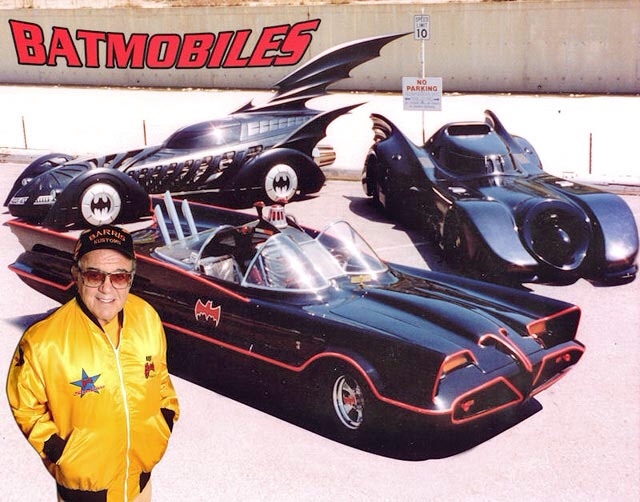 George Barris, the creator of the Batmobile and other TV and movie vehicles, died Thursday [November 5, 2015], his son, Brett, announced on Facebook. He was 89. The car customizer’s first shop was Barris Kustom Shop located on Imperial Highway in Bell, Calif. 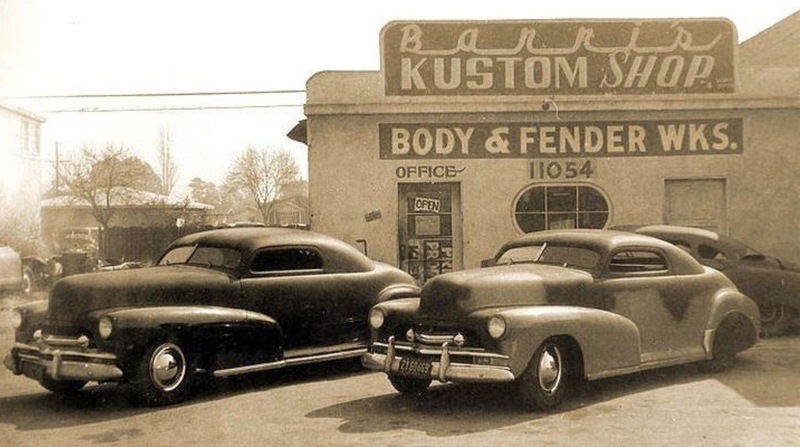 It was later moved to Lynwood, Calif., but Barris continued his association with North Hollywood, Calif. Barris Kustom Industries remains there. Source. The significant of November 5th in Back to the Future... and beyond. When Marty checks the newspaper, the date says that it is Saturday November 5, 1955. It is accurate that November 5, 1955 was a Saturday and this was deliberately researched. 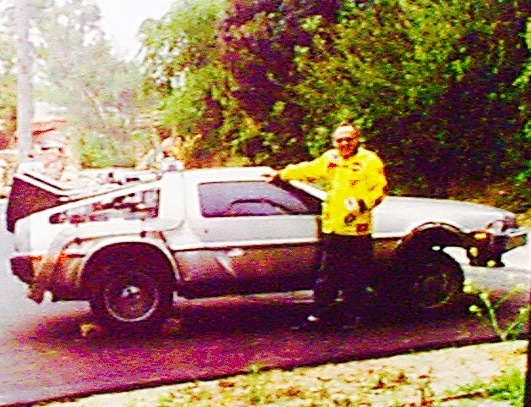 In different interviews, Bob Gale has explained that he wanted to make sure that Marty’s arrival date was on a Saturday so that he would run into his parents during the day and not have to wait until they were out of school and so it would be more realistic that he could hide the DeLorean on a construction site and not have it be discovered because no one would be working that day. Likewise, it is accurate that November 12, 1955 also falls on a Saturday, a day that seemed likely for a school to have a dance. Gale chose November as the month because he believed it would be reasonable for a school to have a large, formal dance towards the end of the semester. November 5 is Guy Fawkes Day and in 1955 it was also the day that racial segregation was outlawed on trains and buses in Interstate Commerce in the U.S.A. By sheer coincidence, it is also the birthday of [screenwriter] Bob Gale’s father. Source. 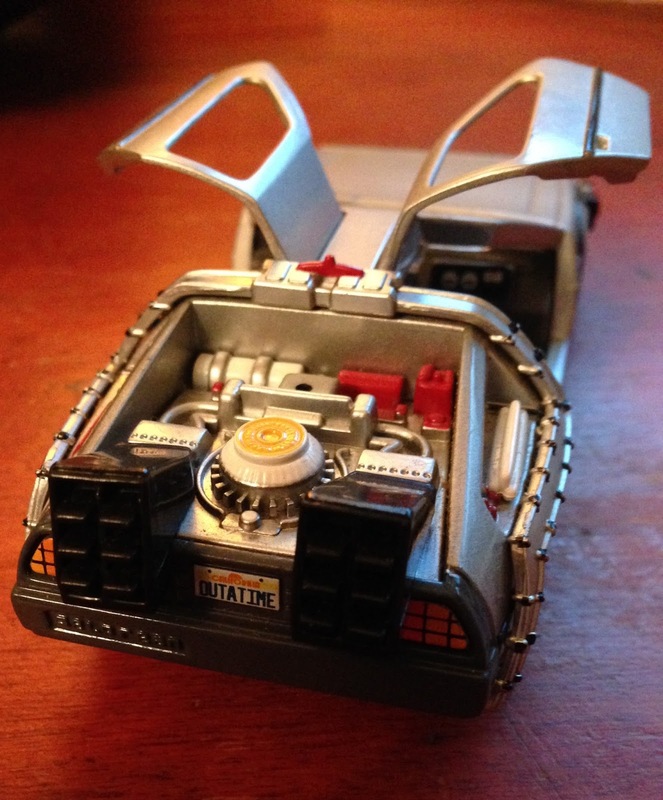 This is the model of the DeLorean Time Machine that came into my life on November 5, 2015. For more that, and other information on November 5th and Back to the Future, click here.